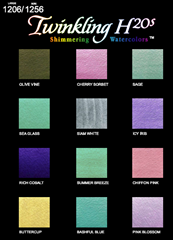 We're excited to bring this fabulous new line of shimmery paints and pigments to Aussie Scrap Source. They are currently up in pre-orders and as we have already had some enquiries about what and how to use these products, here is a rundown. Our design team will soon be working on creating some gorgeous examples for an upcoming gallery. If you would like to have a play with these exciting products, ask your local scrapbooking store to order them in for you! 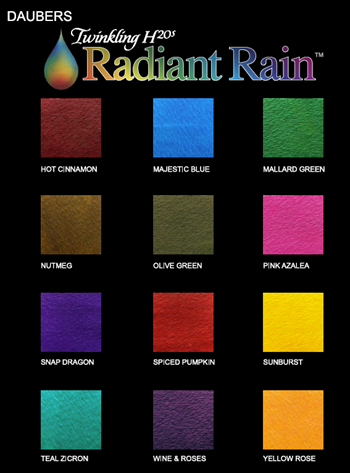 These are the most popular line of paints from LuminArte. Twinkling H20s are fun, scrumptious, shimmery, lightfast watercolor cakes. Twinkling H2O's are watercolor cakes that are incredibly shimmery, non-toxic acid free, lightfast and safe for all ages to use! 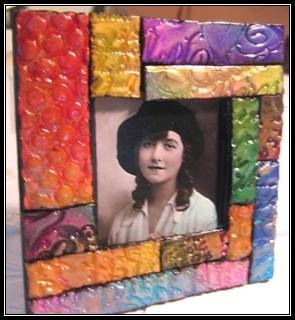 Simply dip a wet paintbrush or waterbrush into the solid cake of color and begin to paint! You can use this paint on paper, canvas, rocks, wood and even Easter Eggs! They are currently available in 156 colors in convenient packaging options. Use Oyster or the iridescent colors to lighten the other colors without losing the shimmer. 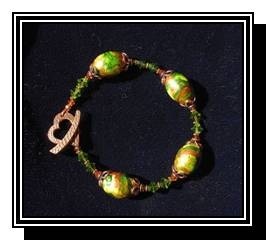 Use colors in Kit TW-606 for adding metallic accents. The possibilities and options are endless with these beautiful paints. These are just a few of the many colour palettes. 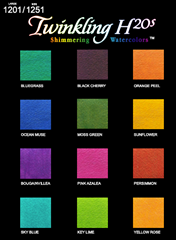 They are available in kits of either 6, 12 or 24 pots of shimmery colour. If you're after something even quicker and easier to use, Shimmering Twinkling H2O's are now available in daubers. 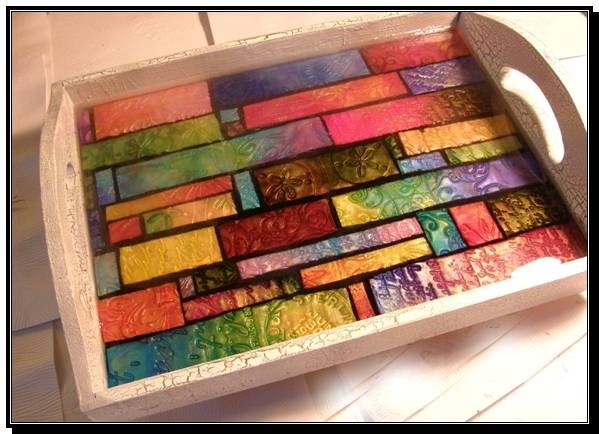 Luminarte have even added extra shimmer for those intriguing projects you are working on. 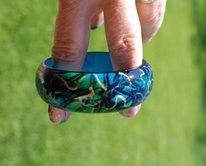 These are sold individually and are available in 24 colours. "Old world Charm with New World Technology" Imagine the old days when artists like Leonardo da Vinci ground their own pigments to make their own oil paint. 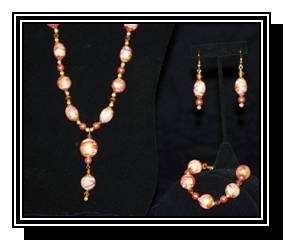 LuminArte has ground pure colour and added the polish, sparkle or pearl of mica powder. Simple to use - mix with one part Polished Pigments™ to 2 parts Simple Solutions™ to make your own shimmering acrylic paints. Create a softer or sheer look by adding more Simple Solution™. To kickstart inspiration and ways to use these stunning products, Luminarte have provided some step by step projects - click on the title to link you to the how-to page.